Posts about me and what has been going on in my life. Instagram was my most used social network last year, I think it helped that I split my social networking up a bit – cars on Twitter and bikes on Instagram. As many people have done, I used the #bestnine2018 tool to find my best nine images from the year. In addition to posting them on my Instagram grid I thought I would post with a bit more detail on my blog. 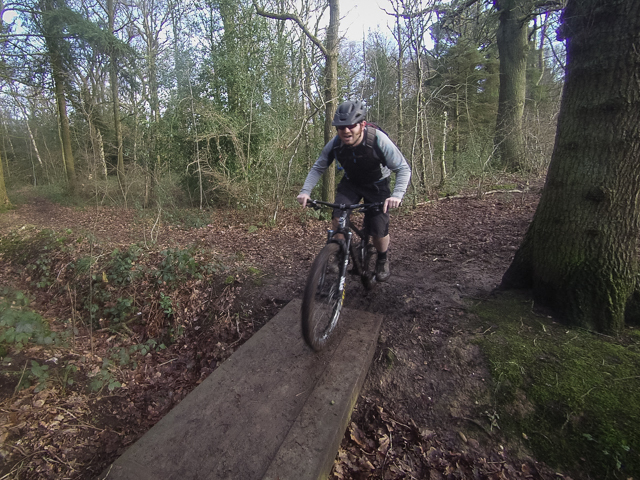 From my first ride back at Cannock after injuring my knee. I love a black and white photo and should really take more! This was taken/posted to my grid on the first day of 2018, from a short ride round my local urban woodland loop. The caption includes a lot of my MTB related goals for 2018. I thought that I would be able to give my Orange Four a full service around the time of our trip to Spain, sending the suspension off to be serviced whilst we were away, to minimise time off the bike. I was slightly naive. It ended up being on the work stand for over a month, as I kept finding extra jobs to do – including drilling a drainage hole at the lowest point of the frame. This photo was taken on my first ride back, a shakedown on local trails that I am familiar with, which allowed me to tweak the suspension and stop for photos. The only thing better than a Monday morning bike ride, is a Monday morning bike ride, with a cooked breakfast at the end! I like how the green and blue hues on my sunglasses work with the background colours of the hills and see. The lens colour was not at the front of my mind when I had to urgently replace my old pair of Oakley Fuelcell sunglasses, which had died protecting my eye from a stone at 60mph. Once again the #best9 just showing the first image does not tell the full story. However I did blog about the ride, which was whilst I was on holiday in Croyde. Llandegla in North Wales is one of my favourite places to ride. This shot was taken from my only ride there in 2018, which I blogged about at the time. I like how the bike is so muddy it almost blends into the background, with the fork stanchions and shaft of the shock being the only clean bits. This was taken near the top of the blue trail on my second run. Another photo from a local ride on my Orange Four – I wonder if it is the beautiful Coventry scenery, or my tactical #hashtagging that has made these so popular… This one was taken on my Meriden loop, which actually takes me outside of the city, but can be a bit hit and miss, depending on how overgrown the trails are, from what I remember, this was one of the good rides! Had a fun afternoon riding round the city centre for @letsrideuk Coventry! It was great seeing so many people, and especially kids, out having fun on bikes! Riding with Owen also seems to be a popular theme, even if Owen was on the back of my bike for this one. Jen was also out with us on her bike. The reason we were all out, riding round Coventry’s notorious inner ring road was for the Let’s Ride Coventry event, a family cycling festival on closed roads in the city centre. I was surprised to see this shot from 2014 in my best nine for 2018, but I did a before/after post when I upgraded my hardtail mountain bike. I am sure it was actually the after post that would have garnered the likes, but once again the #bestnine tool only takes into account the first photo from the post. 2019 is going to be an exciting year for us – Owen will be getting a little brother! Baby Craik is due in March, hopefully he will wait a bit longer than Owen did before coming out! 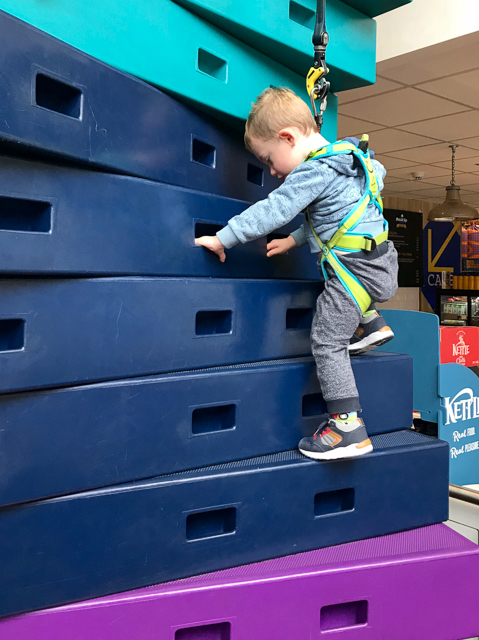 Owen seems to be excited about being a big brother, he has already been shopping with us to pick out a special toy for his new brother – he was very decisive and chose an elephant soother – hopefully it will be loved as much as Owen’s blue rabbit toy! 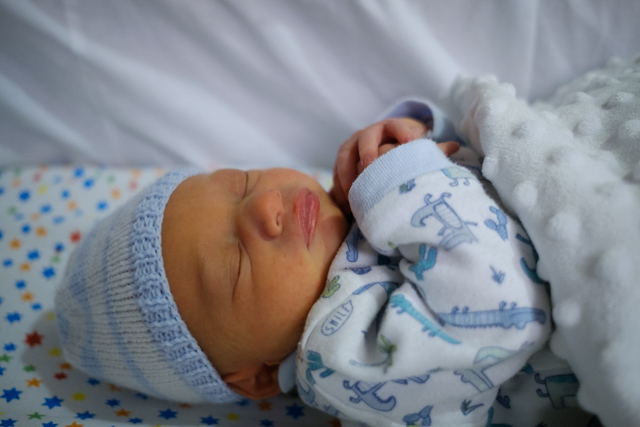 We are currently busy preparing for Baby Craik’s arrival, my office is being relocated to the dining room (meaning a lot of sorting/decluttering in both rooms) and Owen is being promoted from cot to proper bed. 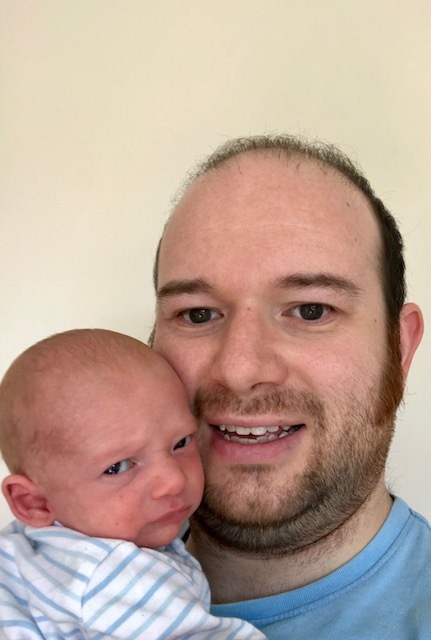 I’m sure that wrangling two little boys is going to take up most of our attention this year, but we do have a few other exciting things planned! June is going to be especially busy, with Coventry Motofest, Monster Jam in Coventry, Malverns Classic MTB festival (including Strider racing for Owen) and Owen will be racing again at the Strider Cup at Kingsbury Water Park. In September we’re planning on going away for a week, somewhere in the UK, ideally near a beach – but for the first time in ten years, not Croyde! Pembrokeshire is looking favourite, but if you know anywhere good to holiday with two small boys, please let me know! We saw in 2019 with our friends in York, which was really nice. Especially as Owen is now big enough to play with the other children. Owen loved having access to lots of toys, and a few slightly older friends to play with. This meant the adults could have a good catch up. I really hope Owen is as good with his baby brother as William, Billy, Violet and Catherine were with him! New Years Day continued in the same style, albeit at a different house. The kids had a hotdog party and the adults had a burger party – my sort of party! Owen slept through most of the long drive home, but it gave Jen and I plenty of time to reflect on how much we always enjoy seeing our friends in York and also to discuss our goals for the year ahead. As in 2017 and 2018, I have set myself some goals, stating them publicly gives me more motivation to get them done. Having said that, I had a few fails last year. This is carried over from last year, as I ended the year weighing 88kg. I got close to 85kg in the spring, but got carried away with too much nice food in Spain. I used to get out on my bike, or go for a swim pretty much every Wednesday evening, but I have slacked off over the last few months. I need to get back on it. I also want to start climbing, after my taster in 2017. Jen bought me some resistance bands for my birthday, I am ashamed to say that four weeks later they are still in the packaging. There is also a new gym opening next to my office. I have no excuses for not fitting in at least one workout a week! 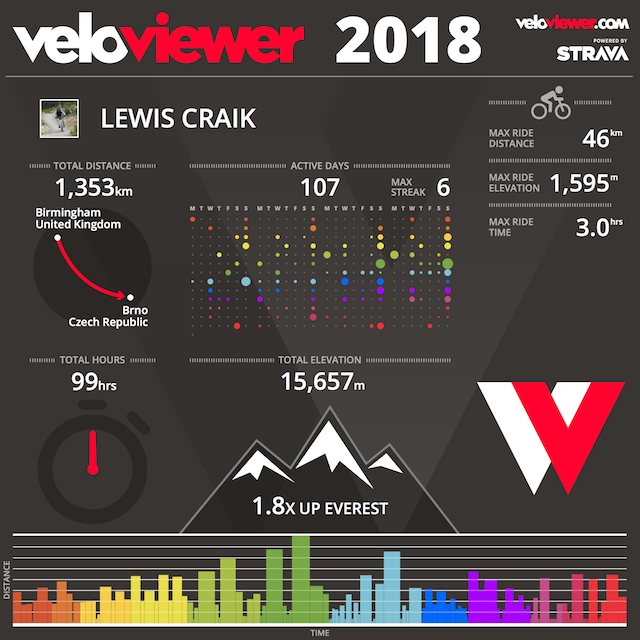 After riding at the pumptrack last month, and realising what a good workout it is, I want to make sure I do more of it in 2019. My plan for 2018 had been to ride at the pumptrack with Owen, but it didn’t quite work out, as he still isn’t confident enough to ride without me following close behind. Hopefully 2019 will be the year we can ride together at the pumptrack. As a stretch goal, I would like to be able clear some tabletop jumps and/or manual through some rollers. I used to think that downhills had to be earned, but after doing some van assisted riding in Spain with Basque MTB last year my opinion changed. Not killing yourself on the climb gives you the energy to focus on the downhill, and doing laps of the same trail really allows you to hone your skills, so I can now see the benefits of doing an uplift day at a bike park. 417 Bike Park is an hour’s drive from Coventry (about the same as Cannock Chase), so I will be booking a day there fairly soon! I hear they also have good trails for kids, so maybe Owen will get to ride there too. I have added this goal mainly because I “only” clocked 99 active hours in 2018 and it seems a good target to aim for. I have been dabbling with AWS for a few years now, and have identified a few ways that I can improve the server set up I have for this blog. I would also like to move it to blog to WordPress 5.0 and write a new custom theme. All geeky stuff, but as my day job is getting more and more project management based I like to keep my technical skills sharp. I have been thinking for a while that I have too many open tabs in Safari across my two Macs and iPhone. I counted (well used the “Bookmarks” menu on the Macs and “Close all tabs” button on iOS) almost 400 open tabs, so need to work through and close them. I am sure that there are some duplicates and ones that I opened for something i was researching, but never got around to implementing. I am going to try and close a few each time I use Safari. I have been thinking that I would do this the last few years, but keep stretching it out for “one more year”. However, now that it will not run the latest version on macOS, is running out of space on the hard disk and is incredibly slow, the time has come. There are two things making this difficult – deciding between an iMac, Mac Mini or MacBook Pro and saving up for it! I took the MR2 out for a quick spin on Sunday and realised that I last washed it in 2016! After the Peak District hoon, I know I have not driven it much, but it deserves better! I bought some special Japanese car wax for Jen’s Yaris, I think it would also work well on the MR2. I actually set this goal after its last MOT, when it had 57,239 miles on the clock and I was disappointed that it had done less than 2,000 miles in the previous year. Unfortunately I forgot to check the milage last time I drove it, so have no idea how likely I am to meet my goal. A strange resolution I know! I am not a big drinker, but do enjoy the occasional wee dram of single malt whisky. However people have latched on to this and I am being bought whisky faster than I drink it! I currently have ten bottles (plus one miniature), with six that haven’t even been opened. I am still yet to finish the Tomatin twelve year old that I bought when we visited the distillery in 2014! Yesterday was Owen’s second birthday! 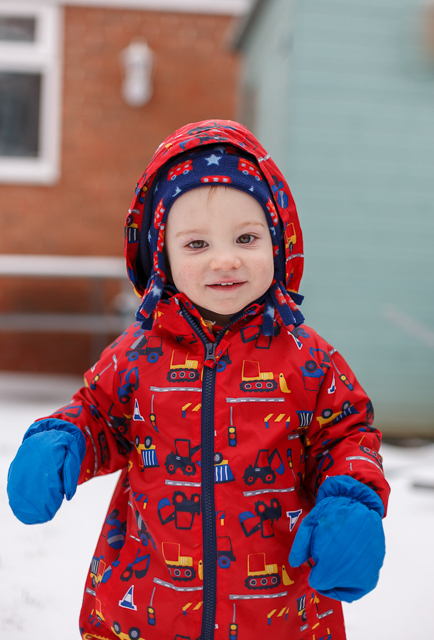 Time flies – his first birthday, and four-toothed smile, don’t feel like they were that long ago! 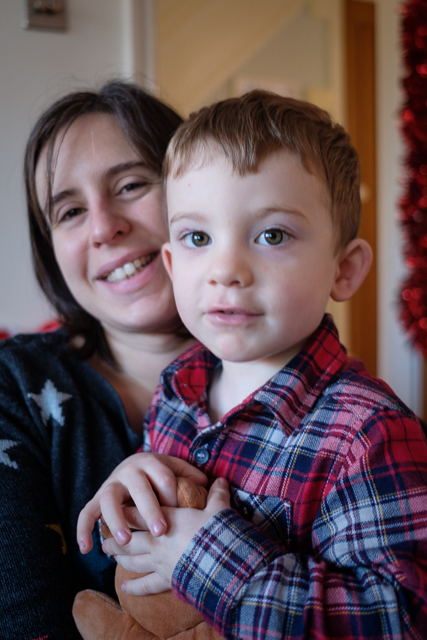 It also means that Owen has been going to nursery for a whole year, albeit only one day a week and I am half way through my reduced hours at work, although I may ask to extend them over next summer. The last few days have been really busy, with birthday celebrations and other excitement! On Saturday we had family round for a BBQ. 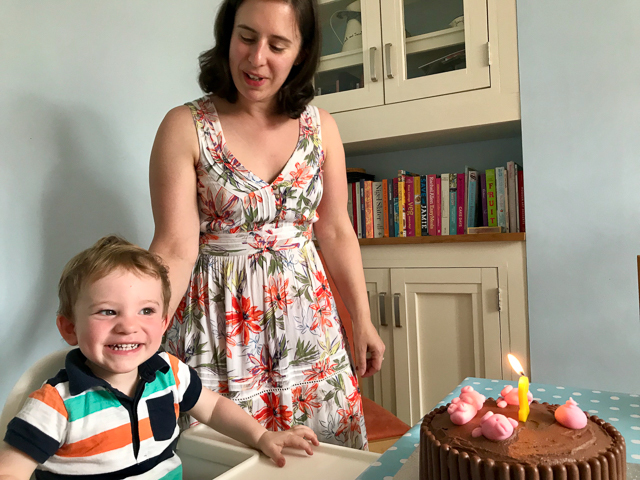 Owen loved being the centre of attention – especially when everyone sang him happy birthday and he got to blow out the candles on the “pigs in mud cake” Jen had made him! On Sunday Jen went to London for the day, so in the morning Owen and I went to Coventry Motofest to look at all the cars. Then in the afternoon we went for a bike ride to the War Memorial Park (Owen on the back of my bike, rather than on his balance bike), for an ice cream. Owen showed me his new technique for eating ice cream – he starts at the bottom of the cone, then tries to eat the ice cream before it melts into a puddle at his feet. I was surprised how much he was able to eat before it fell to the floor. However his hands and face were covered! I hadn’t really planned for this, it would have been difficult to bring his changing bag on the bike anyway, so he had to make do with a hose down from my water bottle! We rode back home along Hearsall Common and through the woods and I had a very proud dad moment when we got home and Owen exclaimed “Good bike ride Daddy!”. Owen spent Monday and Tuesday in the Cotswolds with Grandma and Grandpa, visiting Cotswold Farm Park, which he really enjoyed. 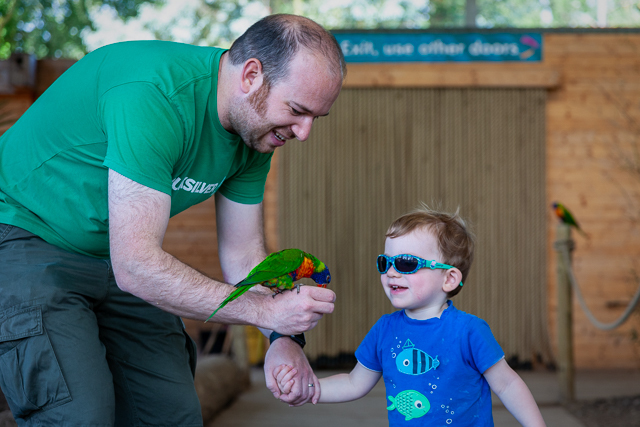 Especially feeding the animals and seeing tractors, as he is currently obsessed with tractors and diggers. While Owen was away, Jen and I took the train into Birmingham to go to the Supper and Beer Club at Pure Bar, for what was billed as a five course tasting menu, but with pre dinner snacks was more like ten courses! I don’t think any of the food on the menu were things that I would usually order, but it was all really good – especially the smoked eel and turbot courses. Which was surprising as despite my old Saturday job working on the fish counter at Waitrose, I don’t really like eating fish. We started Owen’s actual birthday by opening presents – the yellow digger and dumper trucks being instantly promoted to new favourite toys! He then had to go to nursery, where he had more birthday cake and candles to blow out. We collected him at lunchtime and spent the afternoon at Twycross Zoo, before heading back to Owen’s granddad’s house for dinner and more presents! I am pretty sure that Owen had a good few days and he certainly likes his new digger and dumper truck! The excitement is going to continue over the next few weeks, with a bike race, Father’s Day breakfast pizzas and a holiday all to look forward to!